Sounds easy, right? We sure think so! It’s easy to overlook the small things that make a difference, backburner a customer's request or simply ignore a customer's complaint. This is where we shine. We take great pride in focusing on every detail, providing excellent customer service and immediately addressing any issues or complaints that may arise on your project. 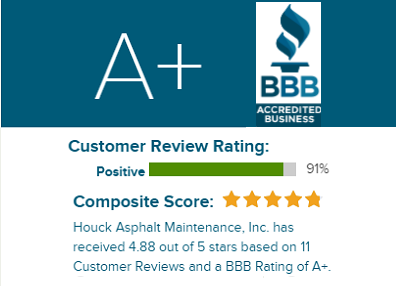 Houck Asphalt Maintenance is a small business. We live and die by our reputation, not by our advertising budget. "Do You Want Crack Sealer or Chewing Gum?" 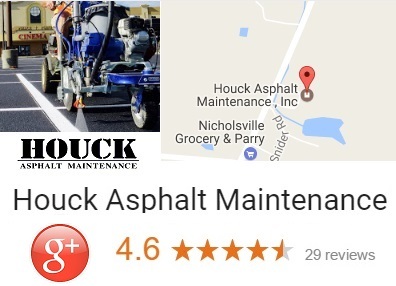 Most asphalt contractors skimp and purchase/apply the cheapest hot rubber crack sealer they can find. Not us, we purchase and apply the most expensive crack sealer on the market. WHY? because it lasts longer than any other product and doesn't turn into chewing gum on your pavement when the sun hits it. We've had numerous customers contact us over the years with the same horror stories. 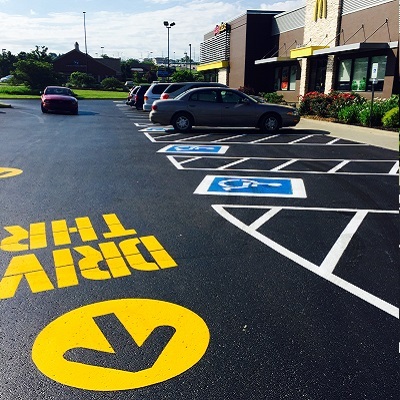 They hired another contractor to crackfill and sealcoat their parking lot or driveway because of a cheaper price and the crack filler that was applied is sticking to everyones shoes, car tires, pets paws, bicycles, being tracked into the building, etc. Once the cheap crack filler is applied, there is no way to remove it, so you are literally STUCK with it! 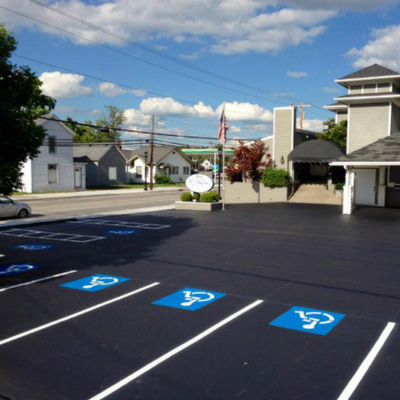 ​Every residential driveway that we sealcoat is hand applied with a broom finish for a premium application. Hand applying the sealer lasts 3-5 years compared to 1 year for a sprayed application. Most contrtactors would prefer to show up, spray the driveway in 20 minutes and leave. Not us, we take the time to ensure the grass is properly edged from both sides, completely blow the surface free of debris, apply the highest grade of hot rubber crack filler available and finally, apply Brewer Cote sealer with a hand applied broom finish. This method is far superior to the spray method. The sealer is forced into every void in the asphalt versus just being lightly sprayed on top of the pavement. We service more Home Owners Associations than any other pavement contractor in Cincinnati!